While you chill out and enjoy your trip, others are rushing from hotels and public transport bus stops to get to the venue. 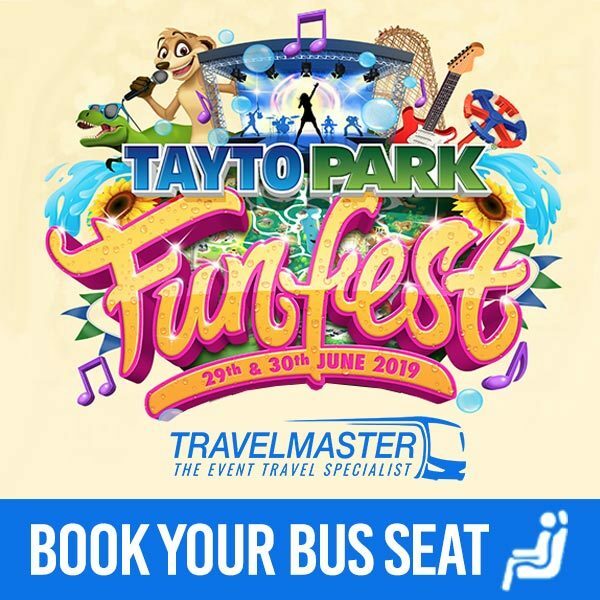 TravelMaster’s Bus to Fun Fest Tayto Park will drop you outside Tayto Park and return to collect you right after the event! How do I buy a ticket for a Bus to Fun Fest Tayto Park? And after that choose how many Tickets you need fo Bus to Fun Fest Tayto Park. Relax and enjoy the Bus to Fun Fest Tayto Park. Why should you use TravelMaster to travel by Bus to Fun Fest Tayto Park? EASY: TravelMaster will drop you and collect you outside Tayto Park. Hence, no need for taxis or driving your own car. COST: Most of all, with TravelMaster’s Bus to Fun Fest Tayto Park you save on the cost of hotel rooms for overnight stays. 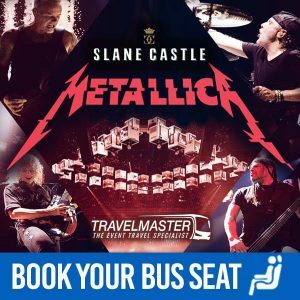 Above all, TravelMaster Offer a Nationwide Bus to Fun Fest Tayto Park From Galway, Sligo, Mayo, Cork, Kerry, Waterford, Tipperary, Limerick, Meath, Carlow, Leitrim, Laois, Longford, Roscommon.